Musicians always struggle to keep their vision fresh when it comes to creating new works of art. There’s the proverbial writer’s block that many artists chisel through, a rite of passage of sorts into the industry, leaving many with blank slates that haunt their musical abilities. Many experience the sophomore jinx when it comes to producing a second album that aspires to outshine its predecessor. And, for some, their one hit wonder is all they will ever be known for. 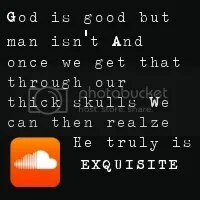 Unless, of course, a group is blessed with an innovative gene; then they’re able to keep pumping out different musical angles that give listeners unending perspectives. 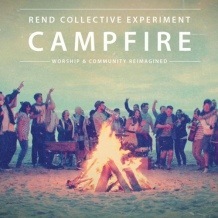 Enter Rend Collective Experiment. As their name suggests, the Irish band, with their third release, continues to polish their collective sound of 15 sojourners looking to create musical environments where God and community can be experienced. On the heels of the success of their breakout album, Organic Family Hymnal, and their amazing follow-up, Homemade Worship by Handmade People, Rend Collective Experiment keeps things fresh by presenting Campfire. And, if the word “experiment” is synonymous with the band’s mantra, this third release is just that. Campfire is a live collective experimentation of songs from their previous albums that was recorded during an intimate gathering of friends around a campfire at Ballyholme Beach in Northern Ireland. Previous Post How Did Jesus “Do It”?